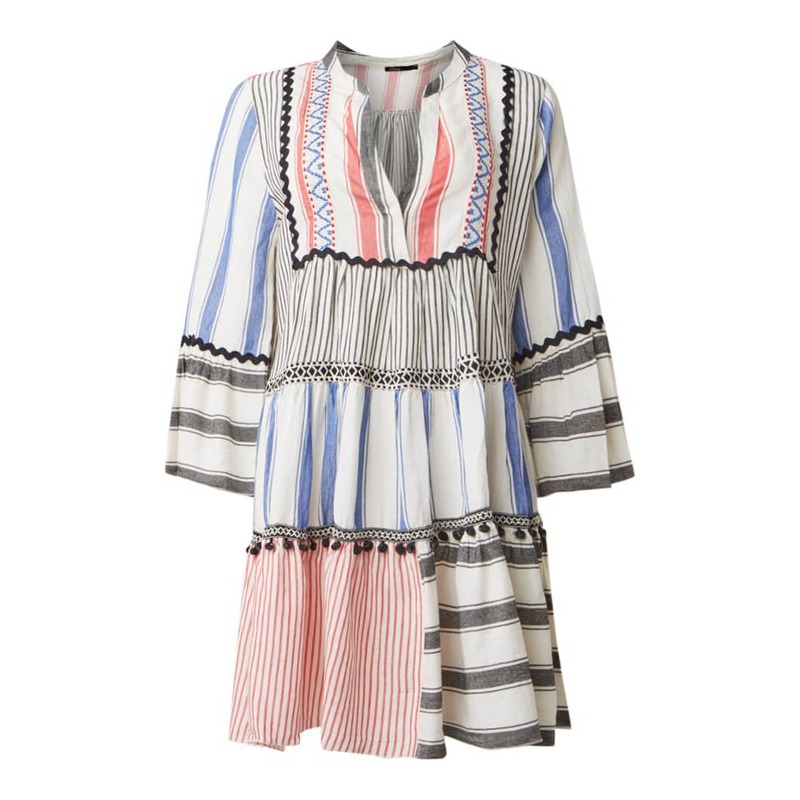 With a relaxed silhouette and breathable cotton fabrication, this dress is the perfect bohemian vacation pick. This piece is rendered in cream with embroidery in shades of black, red and blue and completed with black pom poms. Wear yours with leather slides to head into sunny days. By Devotion.